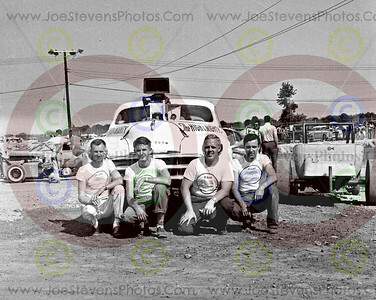 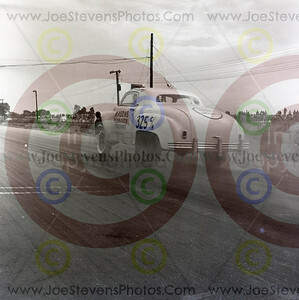 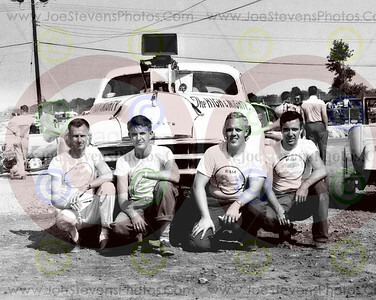 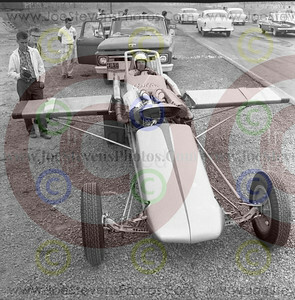 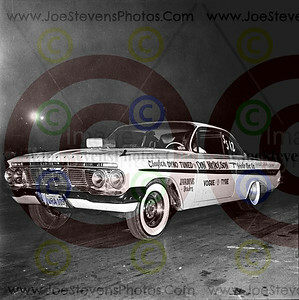 Detroit Dragway in the beginning. 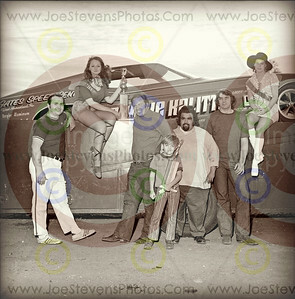 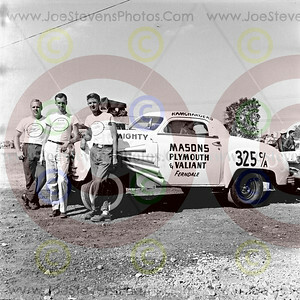 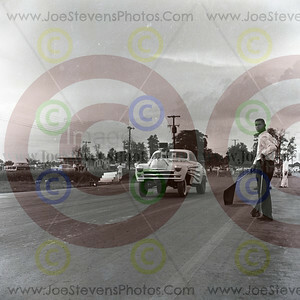 This photo comes from one of Joe's vintage 3' x 5' negatives referred to as large format. 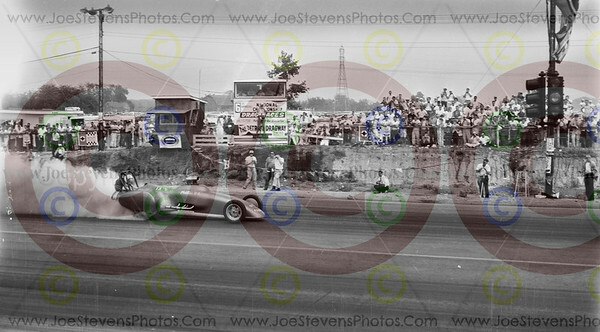 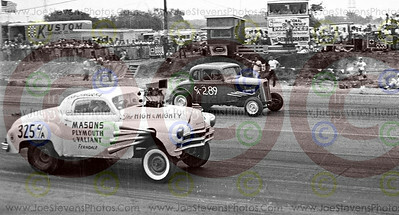 This is quite a collectible photo as not only does it show what Detroit Dragway looked like when it first opened, but shows two very legendary rivals racing in 1960. 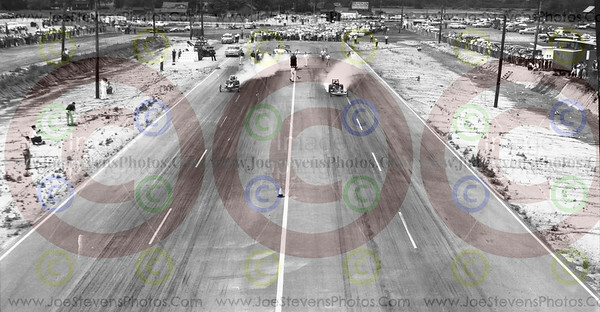 Don Garlits the "Swamp Rat" vs Setto Postoian in the "Mark 3" (right). 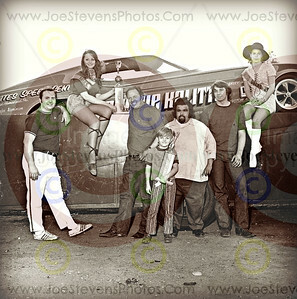 This would be part of the beginning of a very successful career for Garlits but the end for Postoian, who was Garlits friend & the one who gave Garlits the name "Swamp Rat" & who was the race car driver who, up until here, had been the faster & more popular of the two. 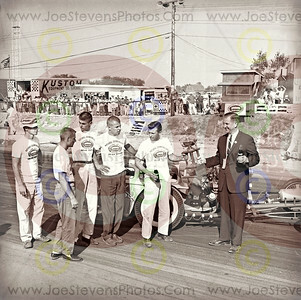 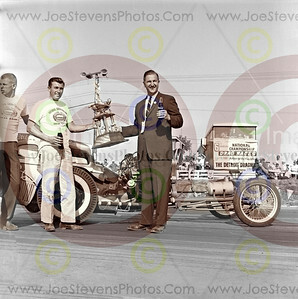 Don Garlits success thru the years, goes without saying if you are a Drag Racing Fan. 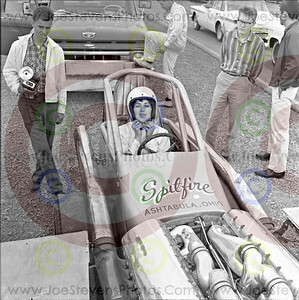 Serop “Setto” Postoian. 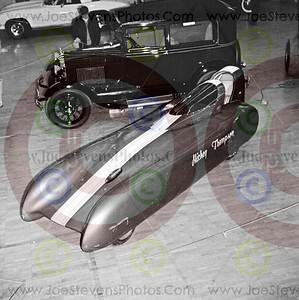 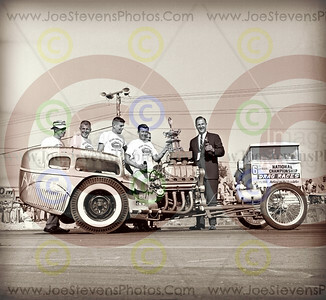 on the other hand, Pioneer HEMI Drag Racer, may only be remembered by those who were around back in the early days. 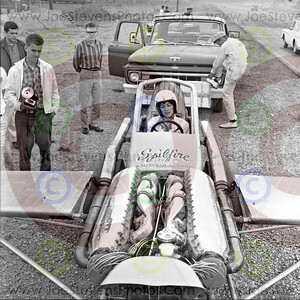 Setto Postoian came out of Michigan in the 1950s to run nationally with his nitro-burning Chrysler HEMI-powered dragsters. 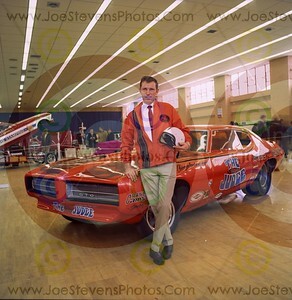 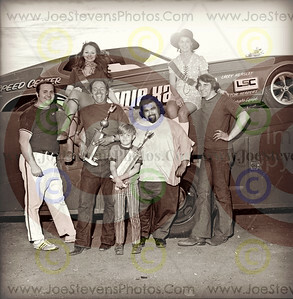 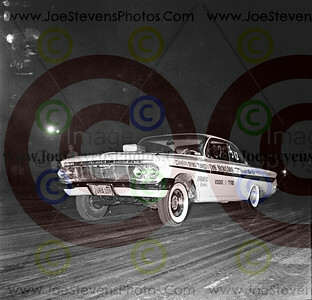 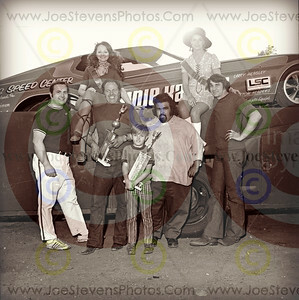 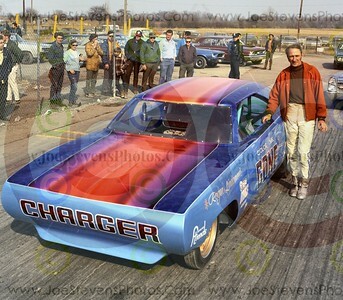 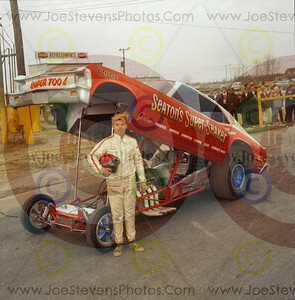 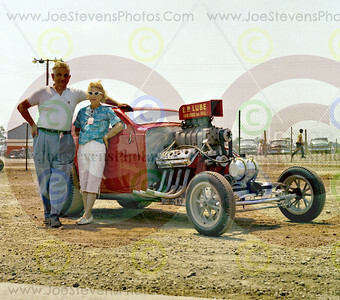 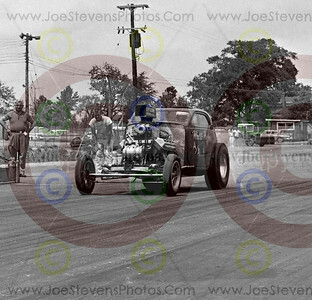 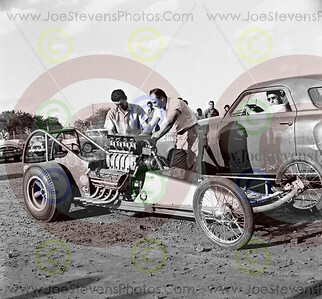 One of the fastest racers in the quarter mile, he was an early rival of Don Garlits. 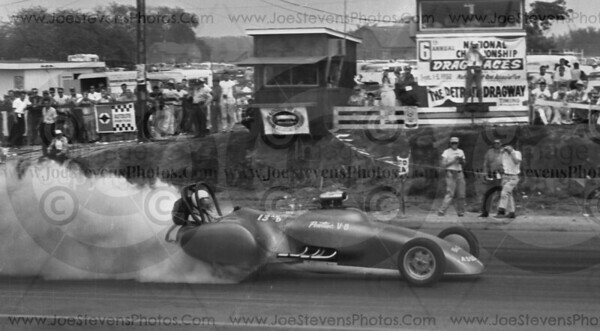 Postoian was the first to call Don Garlits the “Swamp Rat.” He did not intend to be complimentary. 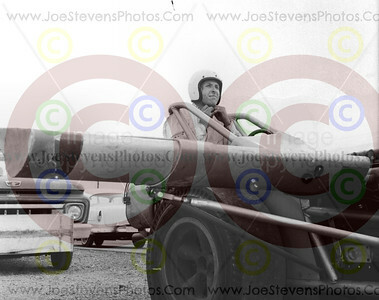 Garlits turned the tables by giving that name to his dragster. 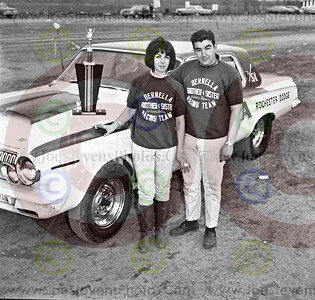 It was a “fake rivalry” said Postoian’s widow Christine in a recent interview. She said the two were actually good friends and shared a mission to beat the big names from California. 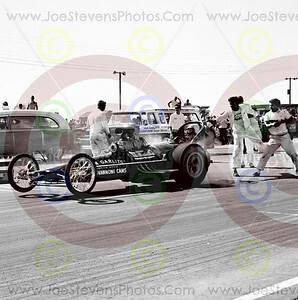 Postoian built three Chrysler-powered dragsters from 1956 to 1960; Mark 1, Mark 2 and Mark 3. 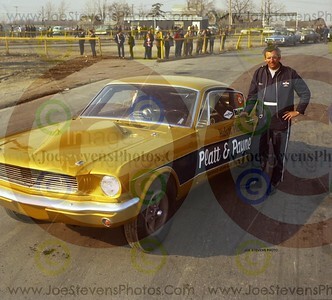 They were named after his son, and ran out of Postoian’s gas station at 6 Mile and Oakland in Detroit. 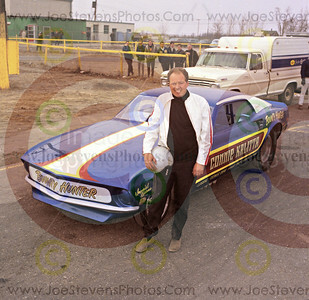 Crew included his brother and early partner, Ashod “Harry” Postoian, Jerry Bazin, George Barbat, and a young “gofer” named Conrad “Connie” Kalitta, who would soon go on to everlasting fame as the “Bounty Hunter.” Barbat worked at Chrysler, learned about ram tuning, and once fabricated an innovative aluminum cross ram manifold for Postoian’s dragster. 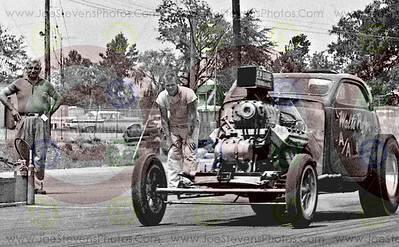 The manifold is on an old Postoian 392 HEMI in the Garlits Museum of Drag Racing in Ocala, Fla.
Postoian’s career ended in a big crash at Detroit Dragway in July, 1960, caused by the Mark 3 dragster’s new wire front wheels. 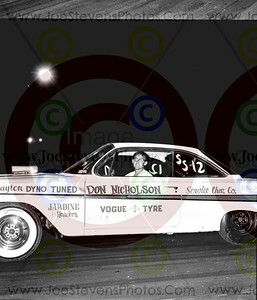 Postoian never raced again, but his accomplishments were among the earliest proof of Chrysler HEMI superiority.